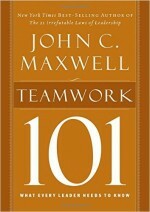 Leaders either lead teams or are part of a team; thus, teams are a central part of the leader’s role. Leaders need to manage teams to achieve their goals while being aware of each team member’s strengths and weaknesses when functioning as part of the team. An effective team is the right size, stable in membership (not a lot of churn) and is working on a task that provides purpose. The team leader must get the right resources for the team, including the right people; especially people who can contribute a diversity of thought, ideas, and approaches. The leader must communicate well and focus on solving problems that may impact the team. The leader’s success depends on the performance of the team. The successful leader is one that melds together the components of all other leadership competencies to achieve the team’s goals. 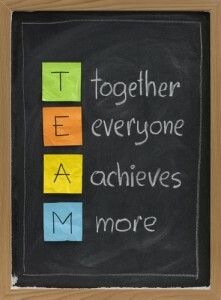 Teamwork is one competency that is comprised of components from almost all of the other leadership competencies. If the leader is part of a team, such as a leadership team, she must focus on being an excellent follower and contribute just as they would expect their team members to contribute to the success of the team. Developing a team to be successful is very rewarding to the leader. Not only will the team be successful, but also the leader will improve their credibility and position within the organization. 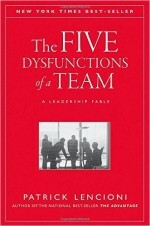 The leader will have the opportunity to develop team members and create team cohesion. When successful, the leader gives team members credit for their hard work. Although you need to be concerned about what motivates each team member, it is also important to develop a unified purpose for the team. When motivating a team to accomplish an initiative, clearly describe the benefits to the organization and the team. As a team leader, you are responsible for providing opportunities for professional development for each person. Take steps to learn the strengths and weaknesses of each and help them create a personal development plan to guide their efforts to improve. Have a team meeting to establish team norms. These norms help guide your team, provide consistency, and help keep everyone on the same page. Be determined to improve your teamwork skills and behaviors. Take the short teamwork self-assessment on this page to identify where to improve your teamwork skills and behaviors. Then, get more coaches’ recommendations in Chapter 34 of The Leadership Compass: Mapping Your Leadership Direction to help you fine-tune your teamwork skills and behaviors. 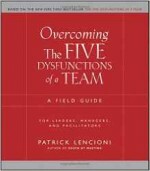 Measure your teamwork skills and behaviors! When answering the questions, consider how others might evaluate your teamwork. Congratulations, you have completed the Teamwork Self-Assessment. As you review your results, focus on your 2 or 3 lowest scores (1 & 2). Learn more about teamwork and get the coaches’ recommendations in Chapter 34 of The Leadership Compass: Mapping Your Leadership Direction book to improve your teamwork skills. I actively build alignment toward shared outcomes. I build a sense of team ownership and pride. I effectively build teams when necessary to complete projects. I instill a sense of purpose in other members of may team. I facilitate cooperation between others. I motivate others to work as a team. I proactively work collaboratively with others. I use influencing skills appropriately to gain alliances on positions. 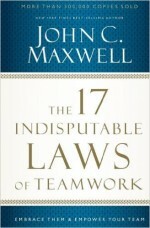 I recognize the importance of teamwork to accomplish organizational goals.